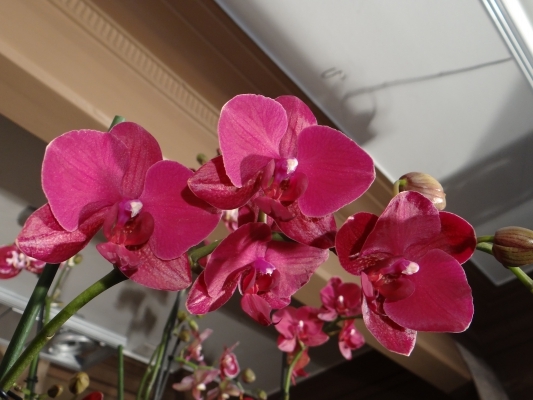 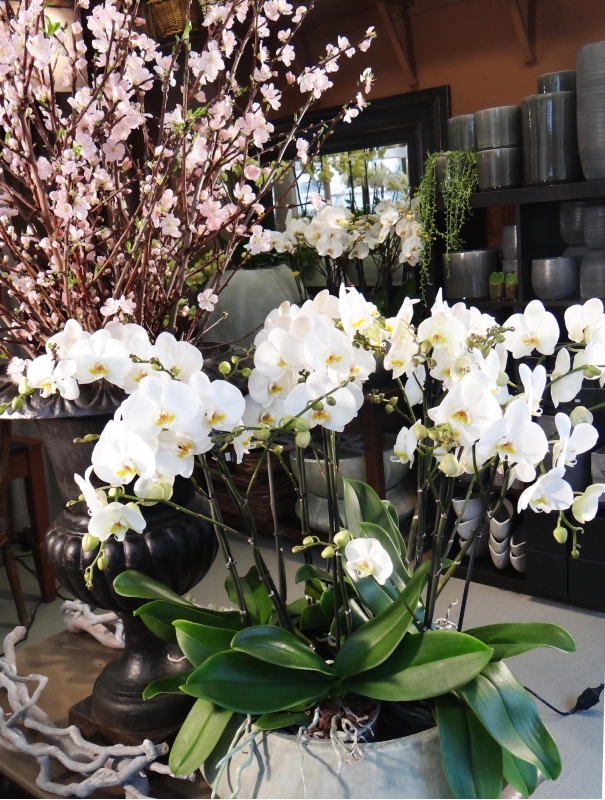 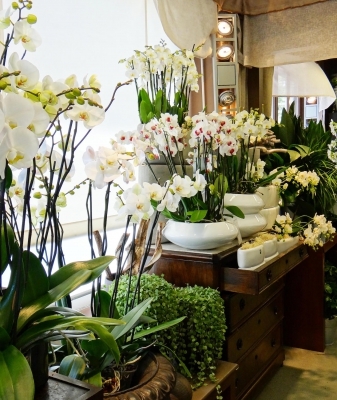 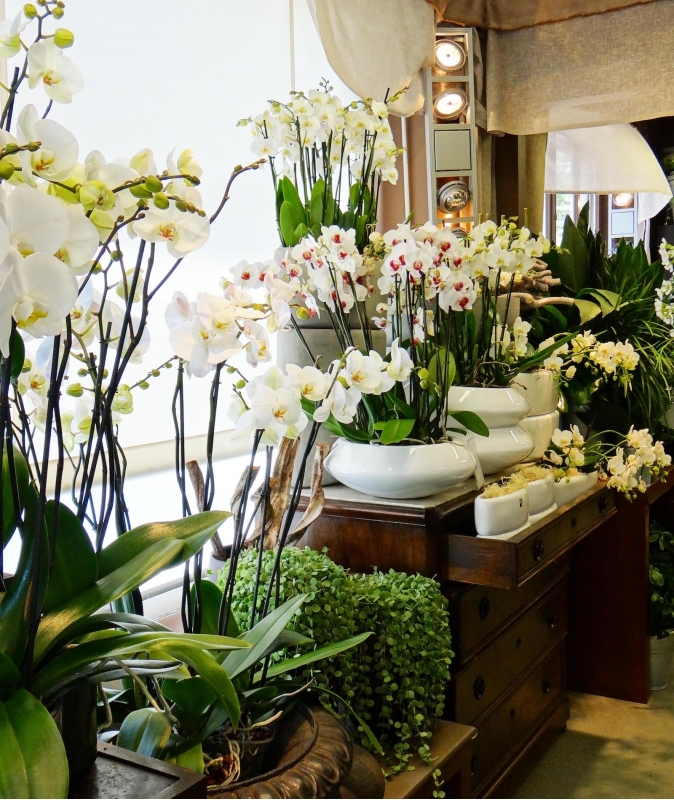 Our shop is not a greenhouse and yet we present a large variety of orchids. 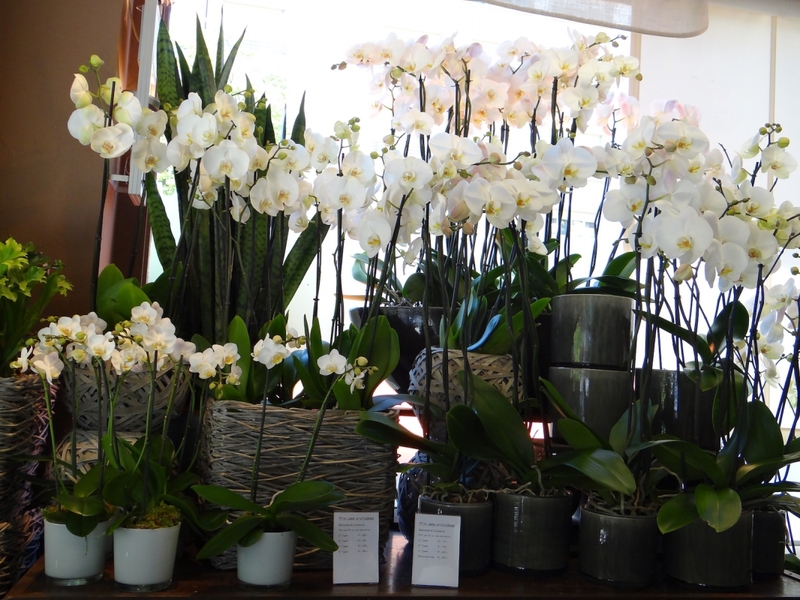 We favour local suppliers; this way we can personally select exceptional plants that you will not find in supermarkets. 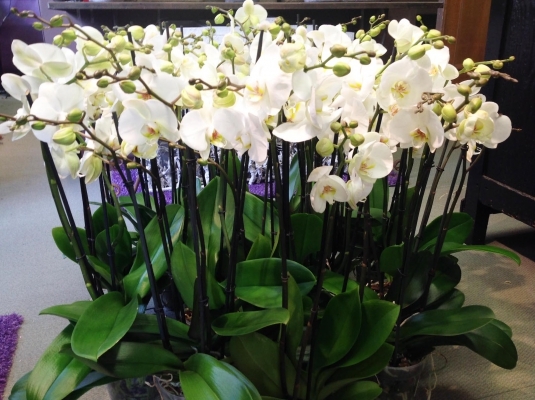 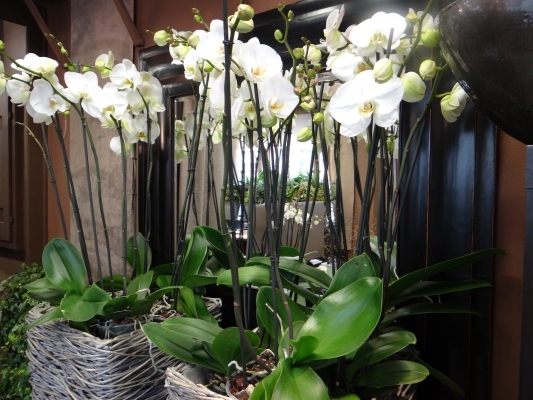 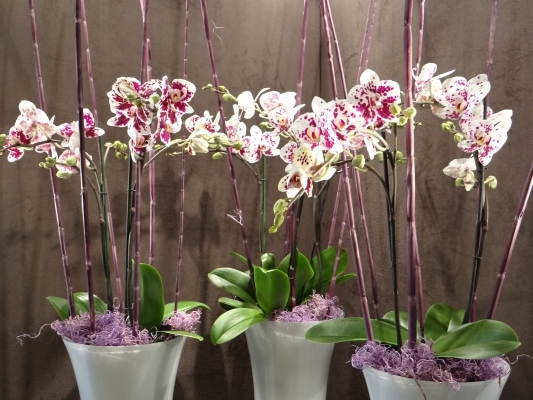 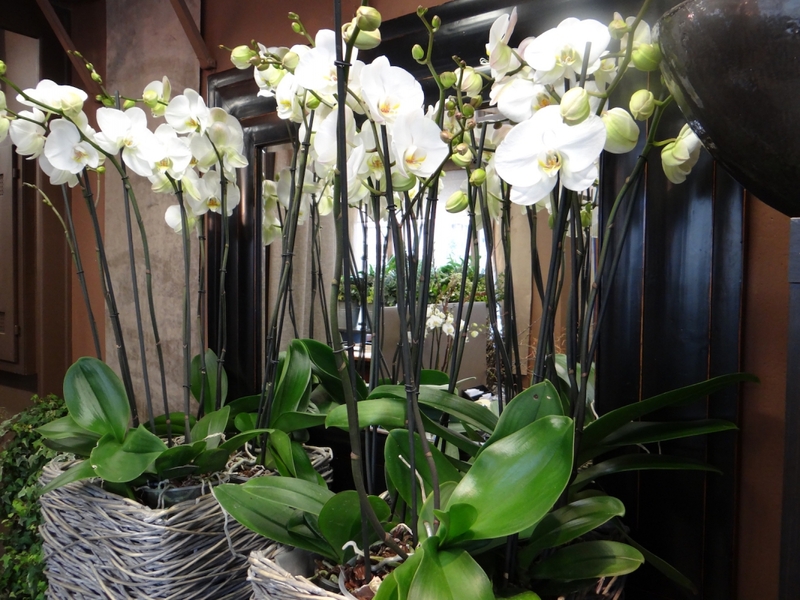 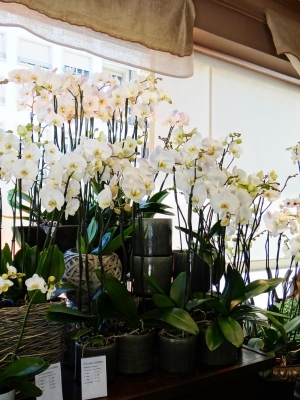 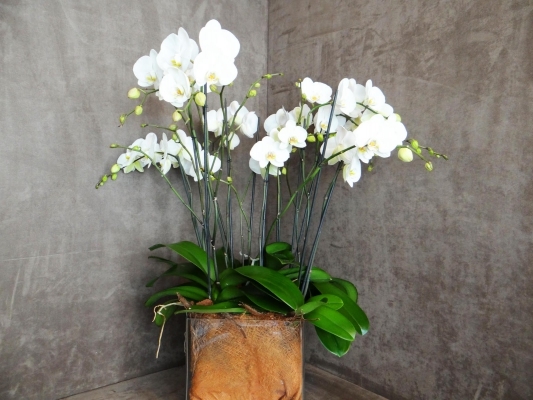 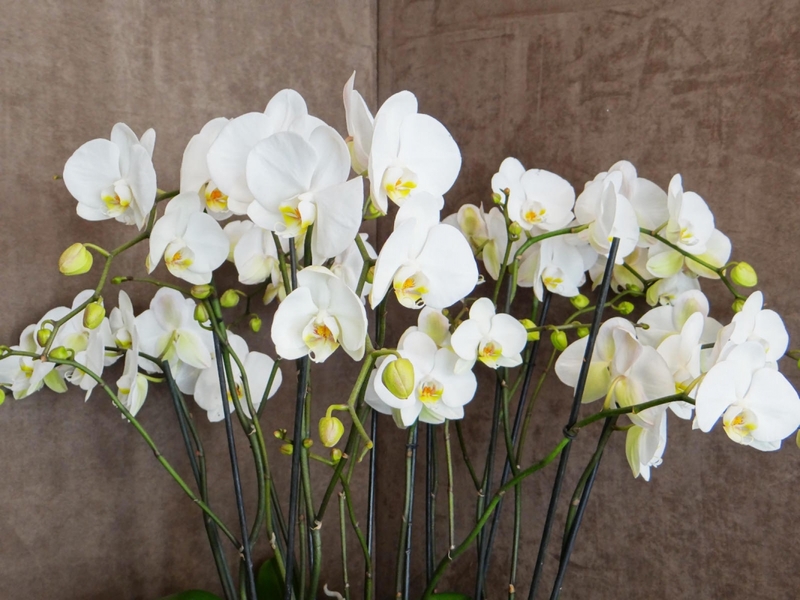 We offer 4, 5 or 6-stem bunches of orchids in a single pot with spectacular long stalks and incomparably wide flower heads. 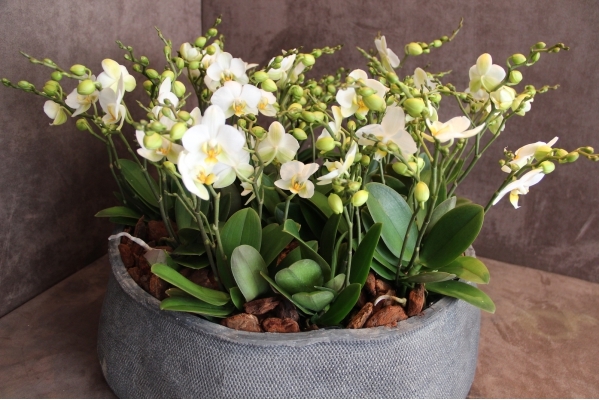 A collection of elegantly designed dark-coloured containers are available to create your own stylish and original floral arrangements. 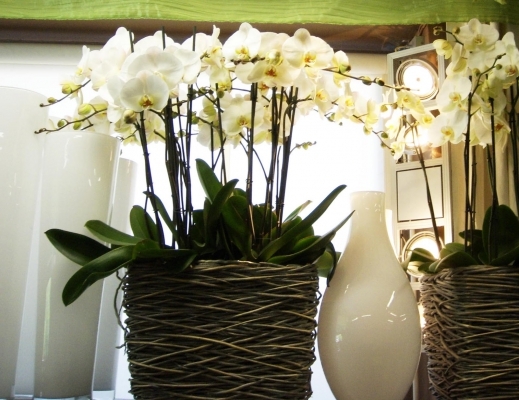 You can count on the expertise and guidance of our team regarding plant care and maintenance.